Aging Water Systems May Lead to Next "Water Revolution"
Many Iowa sewer lines were made in the 19th century. Washington, Ia. 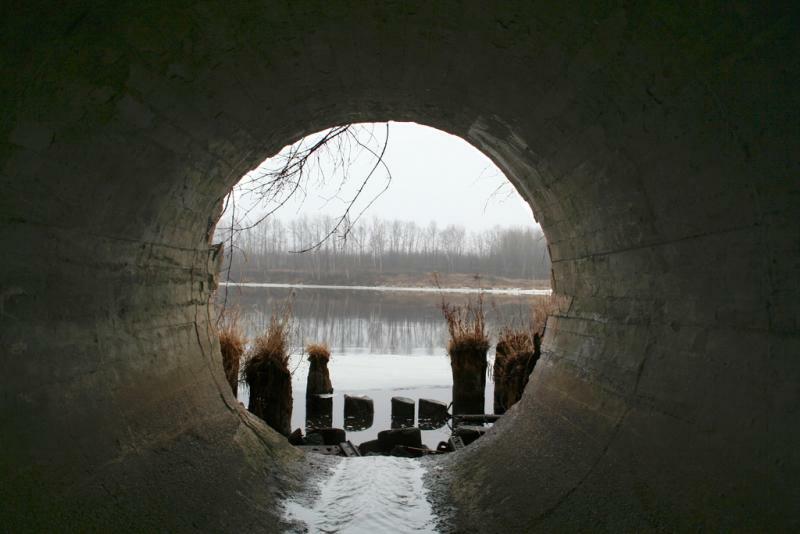 's sewer system was made in the 1870s; and in 2011, repairs cost the city around $20 million. While that situation may seem extraordinary, it reflects the state of water infrastructure throughout the nation. In this episode of River to River, host Ben Kieffer hosts a discussion on outdated water systems and long-term planning to conserve money and environment down the road. He talks with expert David Sedlak, professor in the department of Civil and Environmental Engineering at the University of California Berkeley, who will speak in Iowa on September 19th. Sedlak argues that we are in the "fourth revolution" of urban water systems, and it is crucial that we develop new approaches for managing the urban water cycle. Specifically, he would like to see more decentralized water treatment systems, that would allow individual buildings and communities to treat and reuse their own water. In the second half of the program, Ben Kieffer talks with Washington Ia. 's City Administrator, Brent Hinson, and Des Moines Water Works' CEO, Bill Stowe, to see how local water systems are managing water main breaks and issues with water infrastructure. Associate professor and researcher in Civil and Environmental Engineering at the University of Iowa, David Cwiertny, also joins to discuss research efforts and long-term planning currently being studied in Iowa. Cwiertny says community buy-in is crucial for changes to outdated water systems. On Friday, September 19th at 3:30pm, as part of the Rich Valentine Lecture Series, the UI Department of Civil & Environmental Engineering is hosting Professor David Sedlak from the University of California in Berkeley. Professor Sedlak recently authored Water 4.0: The Past, Present and Future of the World’s Most Vital Resource. His presentation is a big picture talk, envisioning what sustainable urban water infrastructure looks like in the future. The Public Policy Center is co-sponsoring the event. After pulling a few all-nighters netting, sorting and spawning fish, Iowa’s fisheries supervisors are ready for a break. They’ve spent the last month working to ready the more than 100 million walleye fry, fish less than 2 inches in size, that get stocked into Iowa’s lakes and rivers every year. The Gulf of Mexico is the largest hypoxic zone currently affecting the United States. Today on Talk of Iowa, Charity Nebbe hosts a discussion on water quality in Iowa and the connection our state has with the Gulf. We take a look at Iowa's Nutrient Reduction Strategy as a conservation plan. 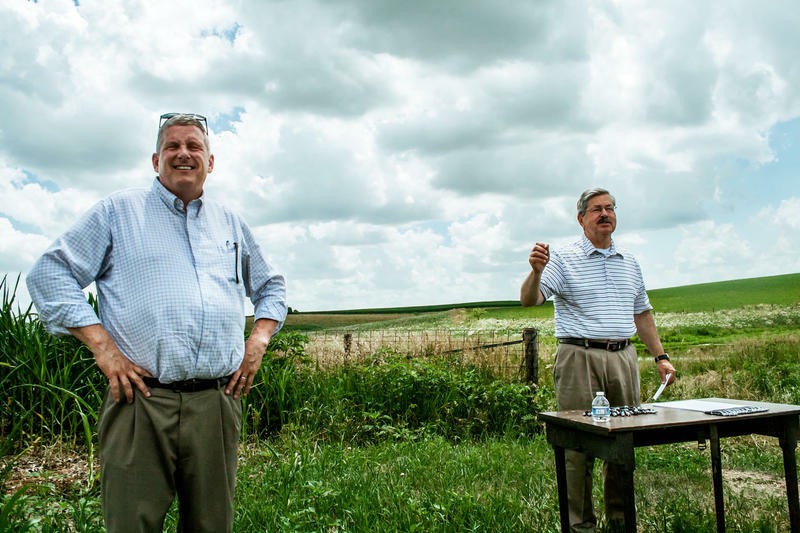 Today's guests include: Iowa Public Radio reporter Clay Masters, Bill Stowe, the CEO and General Manager of Des Moines Water Works, Iowa's Secretary of Agriculture, Bill Northey, and John Lawrence, the Associate Dean in the Department of Economics at Iowa State University.